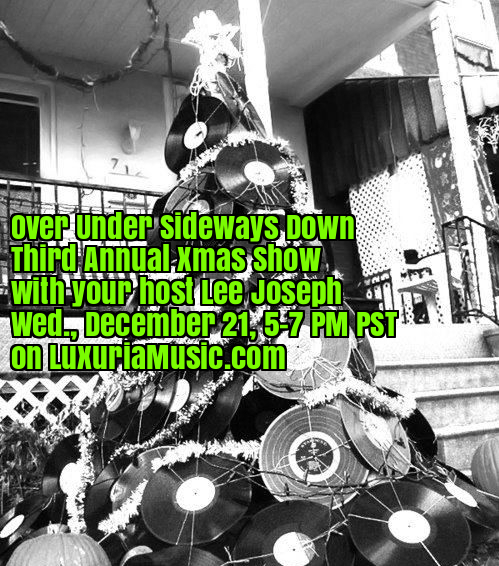 Over Under Sideways Down LuxuriaMusic with your host Lee Joseph returns to Wednesdays starting tomorrow 12/21, with the show’s third annual Xmas Special! Hear two hours of NOT THE SAME XMAS MUSIC YOU’VE HEARD ALL YOUR LIFE!! That’s www.LuxuriaMusic.com – Ho Ho Ho! And to whomever’s awesome pic this is that I borrowed from Pinterest, hope you don’t mind, I’d love to credit you!